We are back in the USA after three weeks of travel in China, Korea, and Japan (and a stopover in Hawaii). I had contemplated posting a series of day-by-day blog entries, but even then it would be hard to capture the breadth of the experience. Traveling to places that are utterly foreign is at first intimidating, then exhilarating, occasionally overwhelming, and finally satisfying. Much like other things in life that are outside one’s comfort zone, it will take time to process and absorb. So instead of describing everything we saw and did, I’m going to put together a few essays about specific aspects of the trip. Airstream-wise, the most obvious thing I learned is that Airstreamers don’t know how good we have it in North America. Cheap fuel, open spaces, endless camping, minimal legal barriers, dealerships and service centers everywhere, and a large community of fellow travelers. In Asia, Airstream is a luxury brand like Land Rover, affordable and practical only to a very small percentage of citizens. Imagine if you had to pay $181,000 for a 23-foot Airstream, another $100k for the tow vehicle, $6 per gallon for fuel, and after that you found there were virtually no campsites in your country, nobody else to meet, and you had no room at your home to park it. 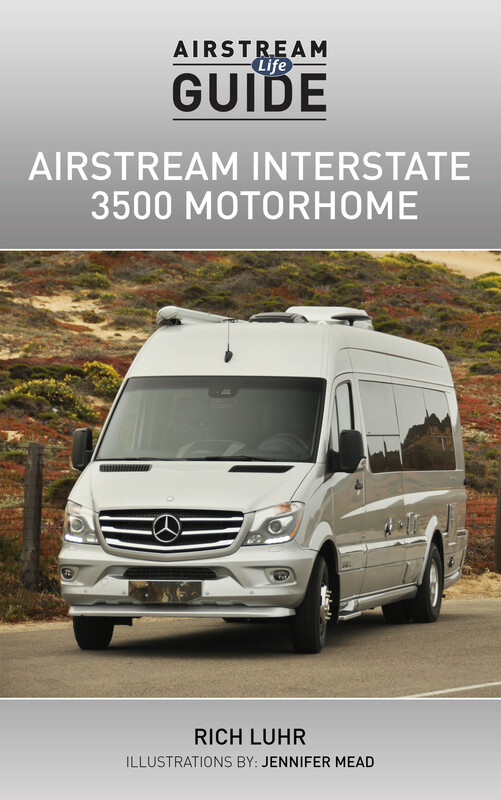 The Asian Airstream dealers have brought in Airstream as a luxury import, to places where there is little understanding of “RV culture.” As a result, they have to work hard to market Airstream and the concept of RV travel/recreation. They can’t just sit at their showroom and expect customers to come in with much knowledge of Airstreams or what you do with one of them. It’s a tough challenge and I admire the effort that the dealers are putting into this. 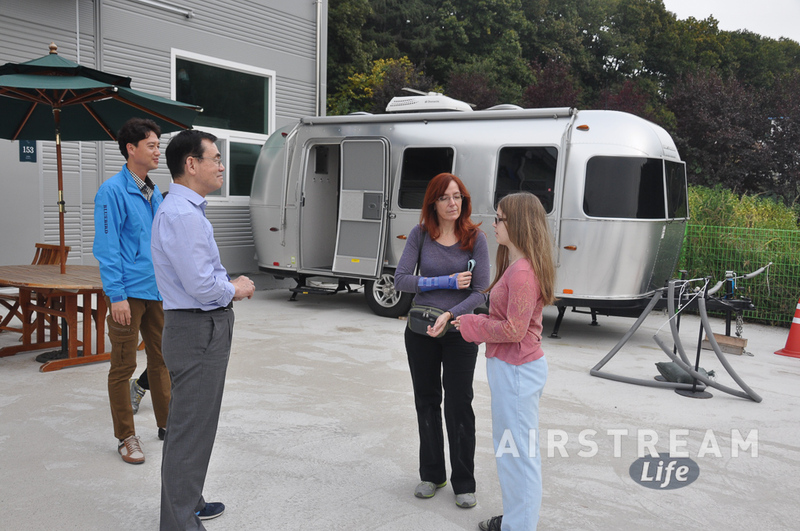 They bring Airstreams to events all over their region, spending the day showing the product and explaining what it does. The Beijing dealership has even opened a “try before you buy” camping facility in Inner Mongolia with six Airstreams parked near a golf course and ready for use. It’s the only campground in Inner Mongolia. 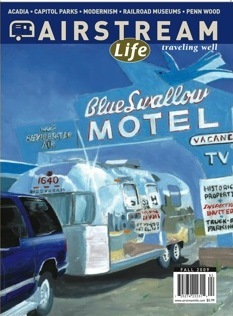 I was surprised to learn that the dealers hadn’t seen Airstream Life magazine yet, nor did they have much of a grasp of the strong Airstream communities that exist in North America and Europe. But perhaps I shouldn’t have been. Airstream Life is not published in their language, and the nature of the Asian Airstream community, if one ever develops, will undoubtedly be something unique rather than a copy of American culture. Airstreams have been sold in Japan for over a decade so there is a small owner community there, but it’s not much like ours. One thing that is the same: the enthusiasm. Everyone loves Airstreams. 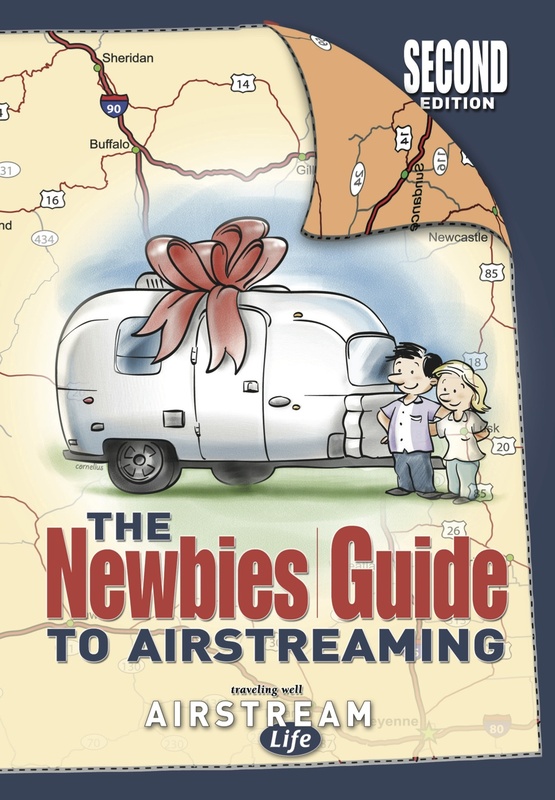 I’m sure that the dealers are gradually building an audience of people who now aspire to Airstream ownership, and that will serve them well over time. The problem is that it will take a lot of time. Wally Byam solved that problem by running high-profile caravans, which generated far more positive publicity for the brand than he could have done by any other method. I think that if Asia is to become more than a niche market, caravans will become a key part of the marketing strategy eventually. I knew that this trip would include just about every form of travel other than Airstreaming, but looking back on it I’m still amazed at the crazy procession of planes, trains, automobiles, and ships that we had to take to get around. In sum, six flights, numerous taxis and shuttle buses, one ship, the Shanghai Maglev, bullet trains in China and Japan, subways in four cities (Shanghai, Beijing, Kobe, Tokyo), and light rail. (It would have been only five flights but leaving Honolulu we got a three hour tour of the Pacific and then returned to Honolulu due to a hydraulic problem with the Boeing 767.) And for the most part, we saw only the metropolises, rarely the beautiful countryside. Each country has its own challenges. South Korea is essentially an island, cut off from the rest of Asia by that backward mess called North Korea, so while Korea has the most parks and campsites, road travelers are limited to a country only the size of southern California, with 50 million people to share it with. China is huge but good luck finding any sort of established RV campground. There’s also little precedent for licensing and regulating travel trailers in that country. Japan is the most organized and has the longest experience with Airstream, but it is also crowded and expensive. You’d want to think twice before towing in any major Asian city. My assessment overall is that Airstream travel in most of Asia is practical only for the adventurous, self-supporting, and wealthy. But that will change. I’ll be keeping an eye on things to see how that’s evolving, with the hopes of being able to return and really see the countries the same way we’ve been able to see America. Despite the challenges, I don’t think that day is too far in the future.